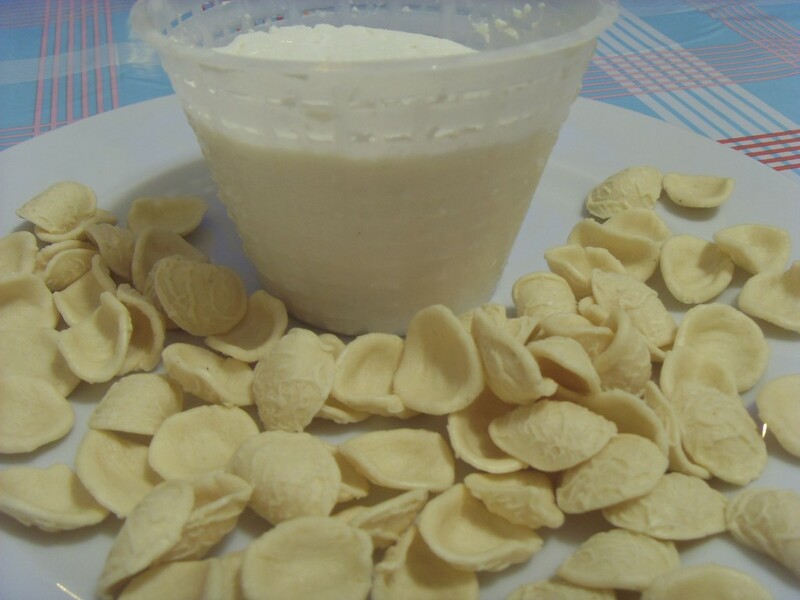 Pasta e ricotta. This is a very simple dish, but delicious all the same. The quality of the ricotta is very important. You can of course make this dish with ordinary supermarket ricotta and the results will be perfectly acceptable, but it will be much better with the fresh version. If you can find sheep’s milk ricotta, even better. 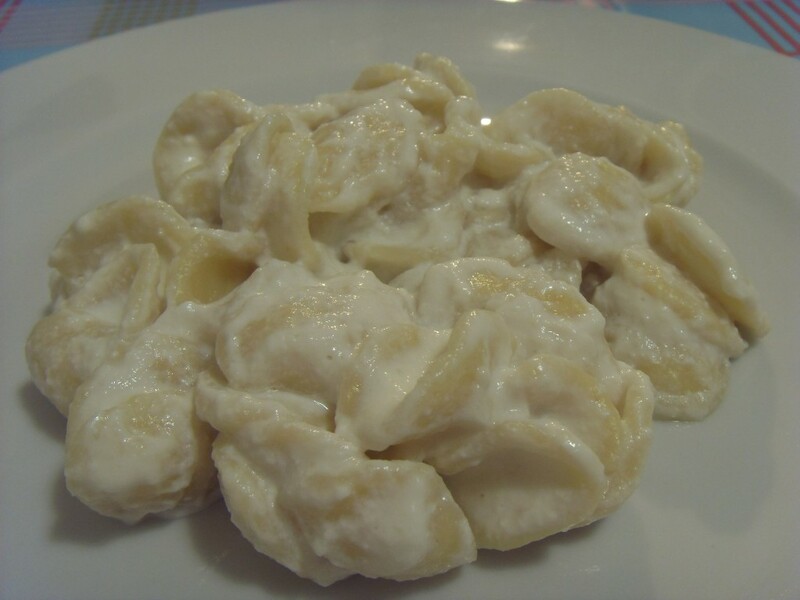 This being Bari, I made it with it with orecchiette, but it goes with just about any type of pasta. There are lots of things you can add that change the character of the dish drastically. Serves 6. 500 g ricotta – the best you can find, preferably sheep’s milk. Add parmesan for a stronger cheese taste. Add paprika to make the dish a little bit spicy. Add fresh basil and mint for an aromatic version. Cook the pasta until it is al dente. Add a little of the pasta cooking water to the ricotta and beat well until it is smooth. Dress the pasta with the ricotta and serve immediately.